Jumping toy ball with hand,it fit for age 3 or eld. It can excerise the balance of Children and bring more joy for them. PVC material, Phthalate free and lead free material, The products meet EN71 and ASTM standard. Jumping toy ball fit for age 3 or eld. It can excecise the balance of child and bring more joy for them. Qufu Guanda Sports Goods Co., Ltd.
Package: One ball placed one PE bag. 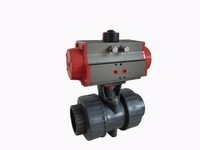 Come From Hebei Tebon Valve Co.,Ltd. Come From Tongxiang Smallboss Special Plastic Products Co., Ltd.
Come From Shanghai Chengquan Fitness Equipment Manufacturing Co., Ltd.
Come From Shanghai GymRite Tour Products Co., Ltd.
Come From Dooer Industrial Co., Ltd.
Come From Wuxi Walla Int'l Trading Co., Ltd.
Come From Changzhou Boer Plastic Co., Ltd.
Come From Zhejiang East Star Ornaments Co.,Ltd. Come From Taizhou Wanquan Toys Co., Ltd.